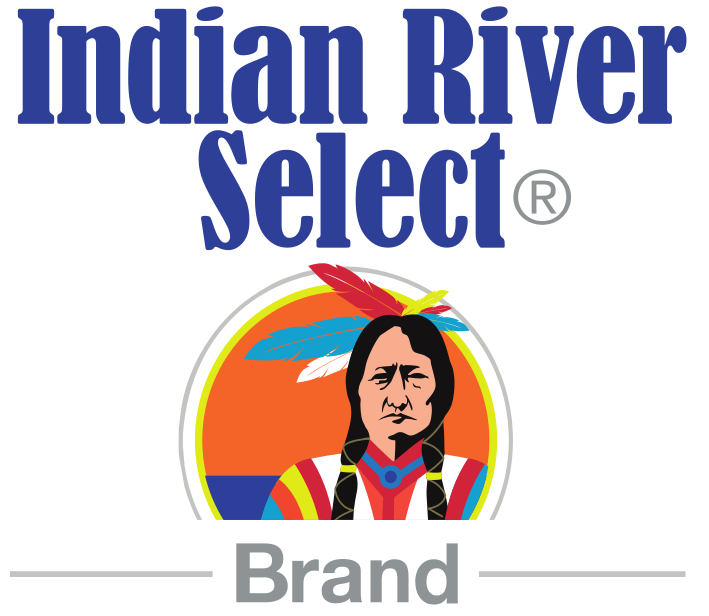 Registration for 2019 is now AVAILABLE!! The event will be held in Tradition, Port St Lucie. 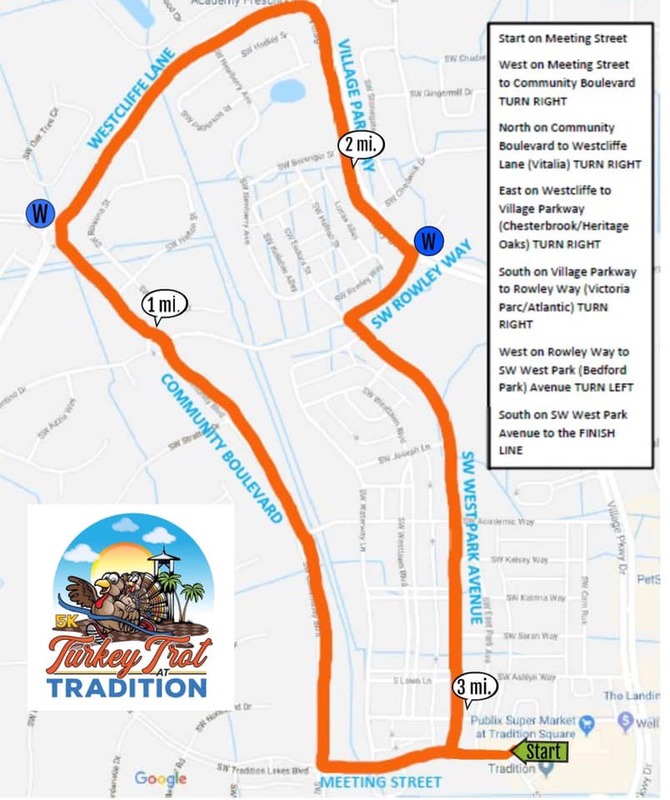 The Turkey Trot at Tradition organizers are so excited to bring one of the most popular 5K Run/Walk events to Tradition in Port St. Lucie! Organized in cities across the world, the Turkey Trot is over 122 years old and is the most widely attended 5K race worldwide. The Turkey Trot is a festive community event held on Thanksgiving morning, in advance of the feasting Holiday. 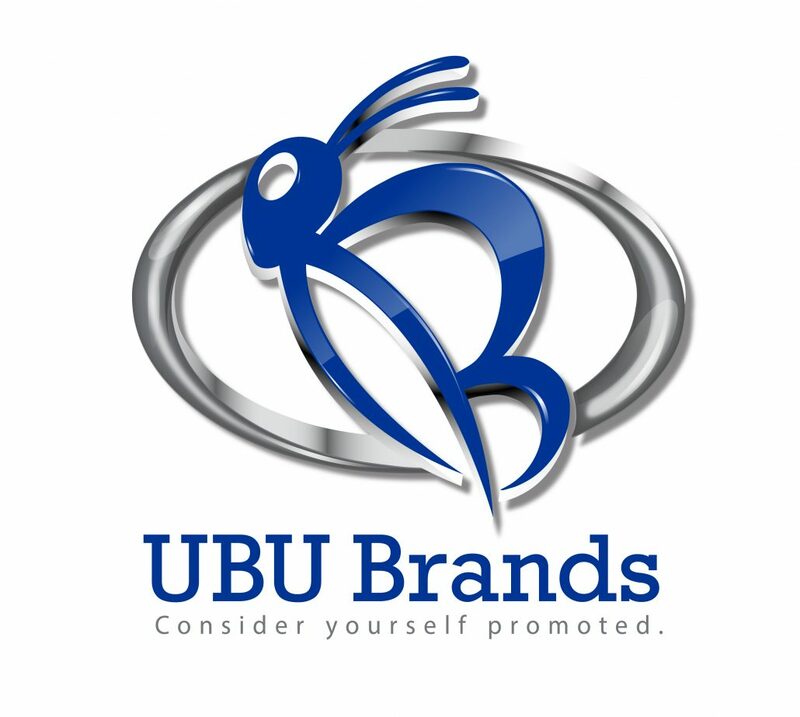 It is a family-friendly race, where you can race, walk, run, and gather socially to get some healthy exercise. By bringing this annual event to our community, we hope to create a “tradition” in Tradition that will be celebrated for years to come. Our organizers, Dana Bradley, Corinne Lexer and Jared Key came together to create this event in 2018 after Dana formed an unofficial Turkey Trot from a Facebook post on Thanksgiving in 2017. 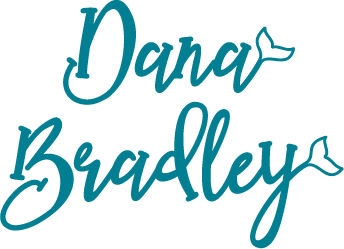 Dana Bradley is a Florida native who was born and raised in Clearwater, Florida. She grew up participating in the Tampa Bay Times Turkey Trot in Clearwater with her family and friends for more than 25 years. 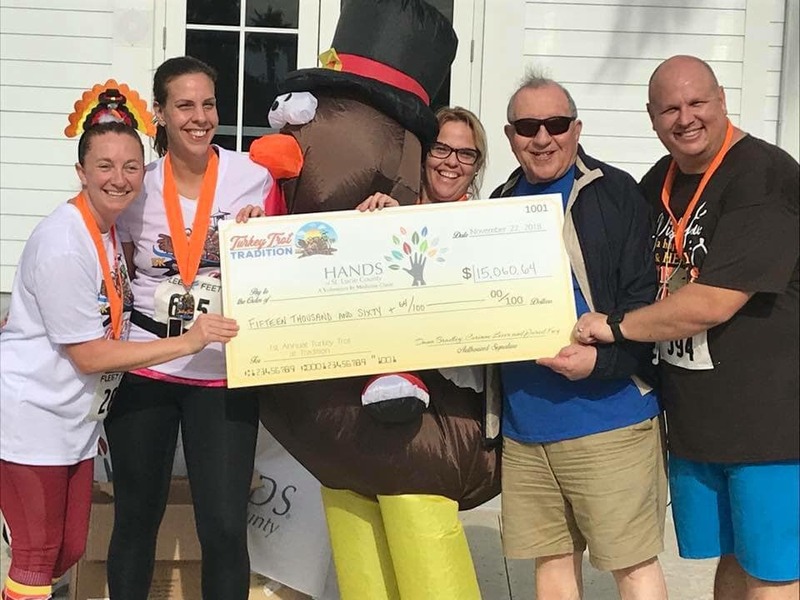 The Tampa Bay Times Turkey Trot is such a widely known event that almost everyone in the community takes great pride to join in. Even if they never walk or run on any other day of the year, the Turkey Trot is the place to be on Thanksgiving morning! Thanksgiving has always been Dana’s favorite holiday, and the family traditions are what make the day so special. Dana and her husband moved to the Treasure Coast in 2012, followed by Dana’s parents in early 2017. Now that her family is back in one area, she wanted to be able to continue their traditions that she has known for most of her life. Tradition is a great place to live with family filled communities, so it just seems natural to have this sort of event take place here for all to get involved. Corinne Lexer, Dana’s friend and neighbor, brings a long history of running experience as well as community volunteerism to the team. Corinne is a wife, mother of two boys and an active Real Estate Agent, specializing in Tradition and the surrounding area. A long-standing member of the Treasure Coast running community and Tradition resident, Corinne is eager to help bring a competitive 5K race event to her hometown neighborhood. Corinne enjoys running with her family and her running partners in the peaceful and beautiful landscape that Tradition has to offer. While there are many wonderful local race events on the Treasure Coast, Corinne wants to share her love of running with her neighbors right in her backyard. Jared Key got involved with the event due to his passion to serve the community and bring a great event to his own neighborhood. He is the owner and chiropractor of Key Chiropractic on Gatlin Boulevard. 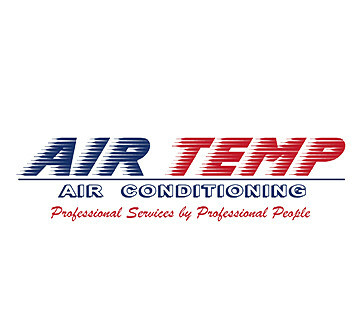 Jared was born and raised in this community and decided to move back in 2014 with his family after owning his practice in Georgia for many years. Dr. Jared has always been involved in charitable community events. While at his practice in Georgia, he developed and ran a 5K event for a local domestic violence shelter and raised donations of over $10,000 each year. 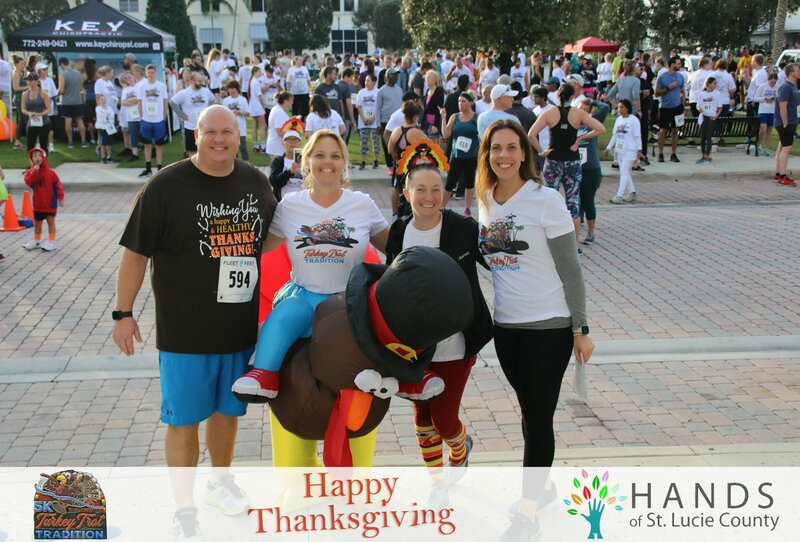 Dr. Jared was beginning to develop a new 5K in the Tradition area, when Dana and Corrine shared their desire to start a Turkey Trot. It seemed like the perfect fit to join forces with them. It is so exciting for him to see the area he was raised in expanding with fun things to do. Dr. Jared and his family also love running, so this event will be enjoyed by the whole family. 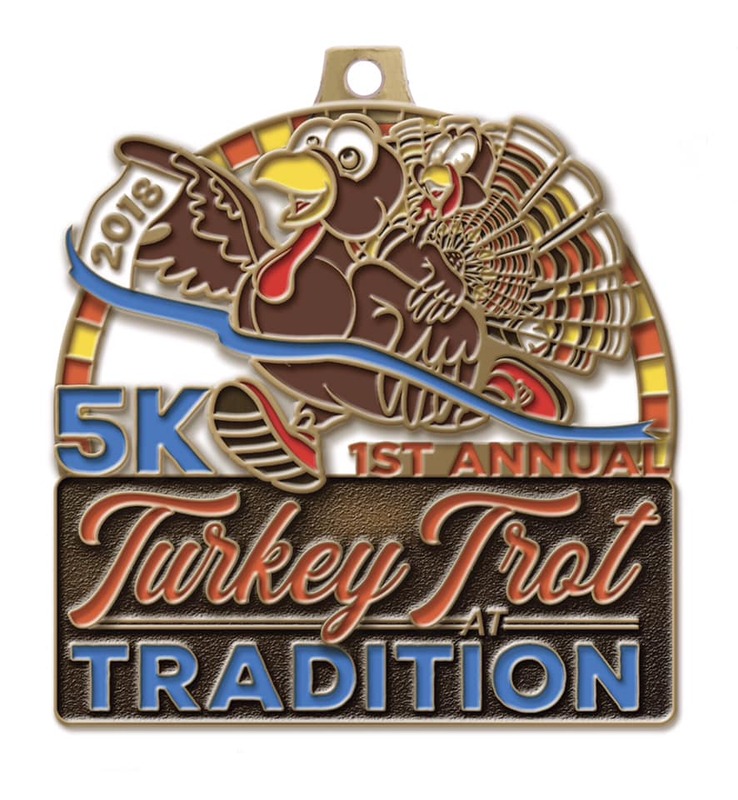 Although it is our inaugural year, we expect the Turkey Trot at Tradition to become a long-standing tradition in this area. We would love to have your support in making this year’s Turkey Trot the best it can be! 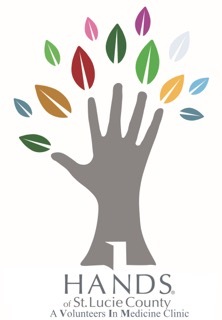 Visit www.handsofslc.org to learn more. THANK YOU to everyone who made our 2018 event such a success! We had over 700 people attend! We were able to donate $15,000 to the HANDS Clinic of St. Lucie County!